Peace is a concept we all strive for but is not so easily accomplished in this day and age. To let go of past grievances and move forward in peace is something we all wish for. 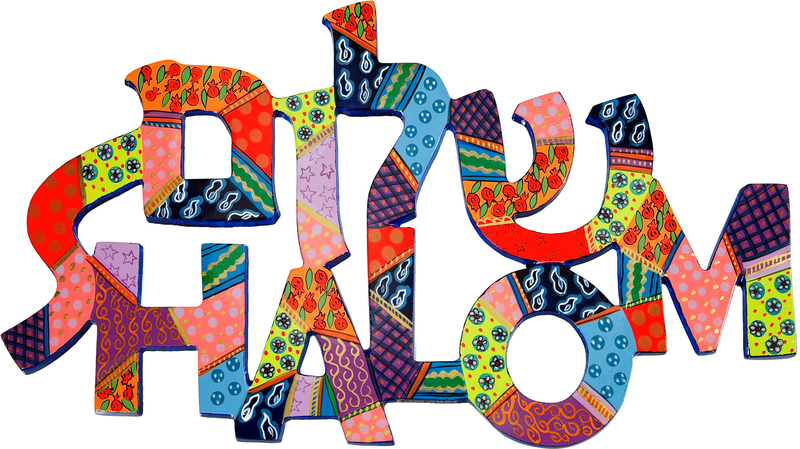 Yair Emanuel has taken this concept and has created a positive and charming Israeli decor art hand painted wall hanging and added the word SHALOM in both Hebrew and English in colorful designs. This will be a great addition to your house.